These 25 questions have been designed to help the reader increase self-awareness so they can bring more meaning and authenticity to their personal brand. Your brand already exists; it is in how you think about yourself and the world, and how you interact with everyone around you. It is what people feel about you. It determines whether people want to engage with you and recommend you to others. Your personal brand is what people say about you when you’re not in the room. By getting to know your personal brand you can make sure it’s communicating the true you. 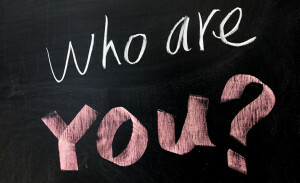 Understanding your personal brand begins by truly understanding yourself. A level of self awareness is valuable for gaining clarity of your personal brand and it enables you to be a more effective leader, team member and family member. Here are 25 questions to help you get a clearer picture of yourself and your brand. We recommend you go for it and respond from your gut. Do 5-10 at a time and see what emerges in the process. What are you passionate about? What is it that keeps you going on the worst days and inspires you to be brilliant on the best? What are your character strengths? There is a link to a free online tool click here. What do you have the most experience doing? What is it in your particular mix of personality traits, qualities, quirks, talents and interests that makes you unique? What causes are you the most passionate about? Why? What qualities do people associate with you? Ask someone you trust. What do you laugh at? How do you describe your personality? How do others describe your personality? Ask a couple of people you trust – what are they seeing that perhaps you can’t see? Are you like your parents or different from them? In what way? What will you be doing in 5 years? In 10? Whose personal brands do you admire? What is it that you like about these people and their brands? Is there a common factor? What are your favourite colours? Is there a design style that you particularly like? What is something you did in childhood that makes your heart sing? In your adult life? What is your favourite song or piece of music? How does it make you feel? What is your story? How did you get to be the person you are today? What should people understand when they see your brand? Can you narrow it down to five words? To one word? A thesaurus is good for this one. Did you answer all 25 questions? And in the last answer did you manage to come up with just one word? We’d love to hear your word and why you chose it as well as any other insights you gained from the experience. If you’d like to learn how your organisation can leverage the personal brands of your people email fiona@brandillumination.com.au to discuss a customised workshop that integrates personal, team and organisational brands.